2. No Zooming in Camera. 3. Very Low bettry backup while Wifi or Net is running. gyorgy, 10 Jan 2012My wife was considering getting this phone until I read somewhere that it has an on screen qwe... moreYes it has standard/numerical keypad with predictive text input method, but there's a disadvantage on its num keypad tho - unlike the xperia mini/mini pro's keypad - there's no long press option to type numeric characters when typing, you have to switch between Abc mode and 123 mode. gyorgy, 10 Jan 2012My wife was considering getting this phone until I read somewhere that it has an on screen qwe... moreIt has a full qwerty keyboard but you can install additional keyboard options from the market meaning you can also set it to be a standard zero - nine keyboard. AnonD-34639, 18 Dec 2011i have owned my x8 for about 4-5 months it is slow at times but i put it down to having alot o... moreLOLS! How to aktiv my xperia x8. Why i noting have 3G calling in my sony ericsson x8. Why?please help me. My wife was considering getting this phone until I read somewhere that it has an on screen qwerty keypad. We do not like qwerties and prefer the standard keypad. Can anyone tell me if this phone has a standard keypad as an option ? sagar, 07 Jan 2012is it an official versionit is not an official version (you mean coming from SE right?) I am just using a customized ROM that was developed by XDA. you can check the link i have posted on the thread. karthi, 09 Jan 2012is xperia x8 have 3g front camera?no it doesnt have front camera. hey it is possible to chat with friends on facebook.......????????? Deb, 08 Jan 2012i just got the sony ericsson x8 hone but when i call some one they can not hear me hwo do i fi... morethe mute button on top right corner as i remember and you might touching it by ear while holding your phone, happened to me often, Is this the reason? 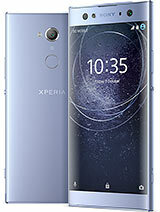 is xperia x8 have 3g front camera?